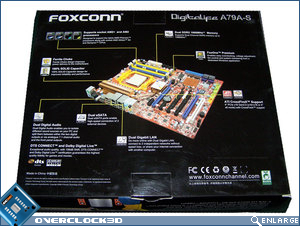 The Foxconn A79A-S is packaged in a bold and highly visible cardboard box with a predominantly black and white theme. 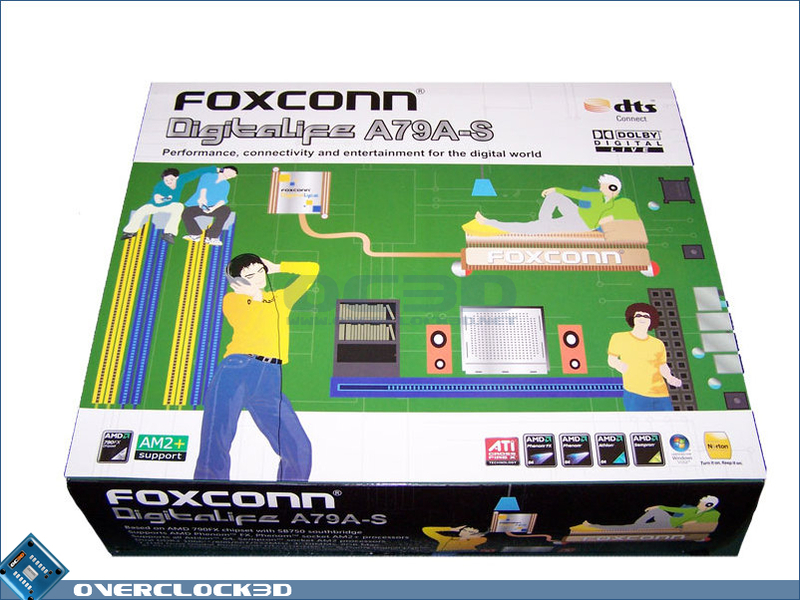 On the front of the box is an image of cartoon-like people going about their business with motherboard components featuring as furniture and digital appliances. 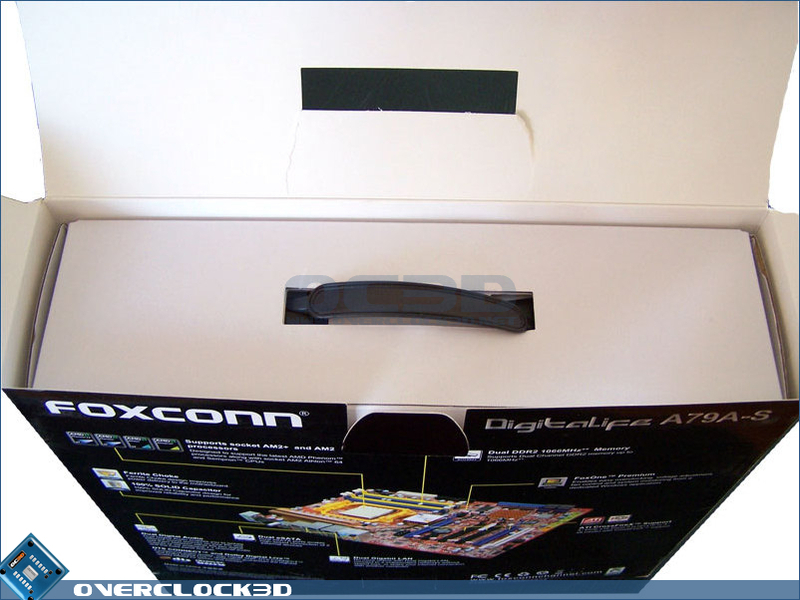 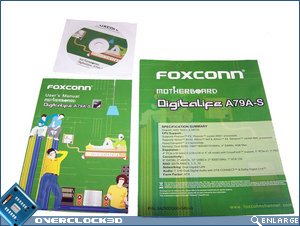 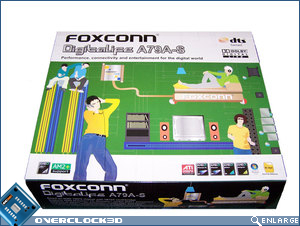 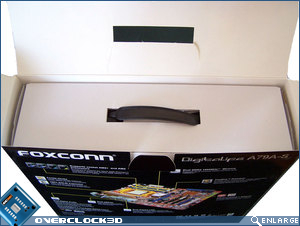 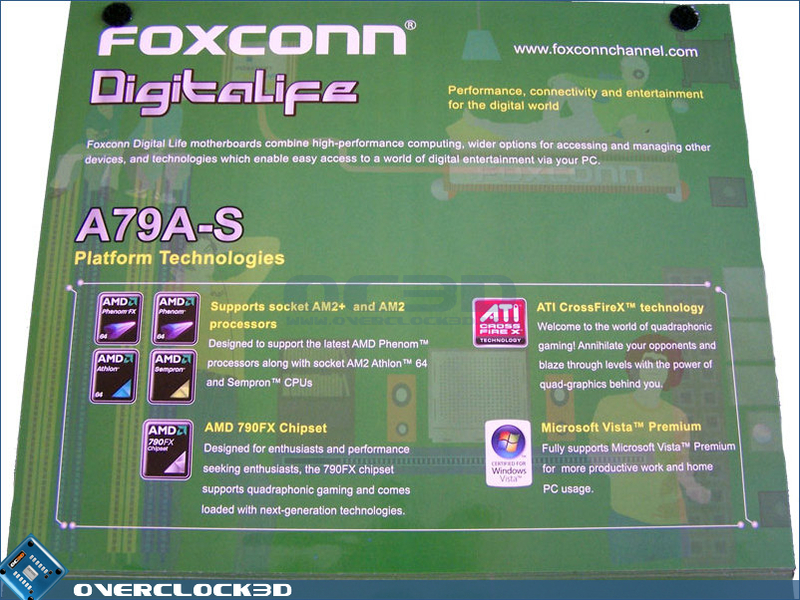 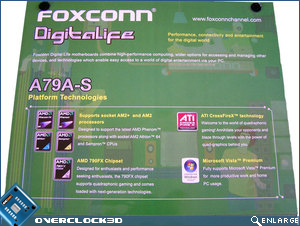 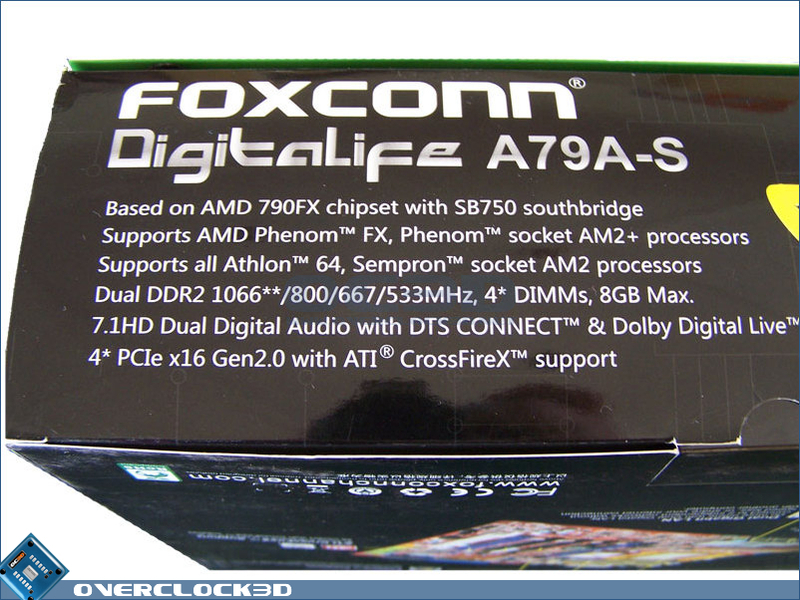 On the rear of the box, Foxconn has included an image of the A79A-S motherboard with arrows pointing to the prominant features of the motherboard. 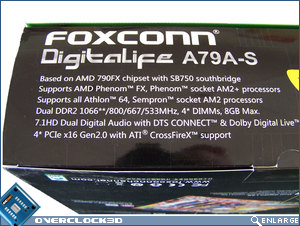 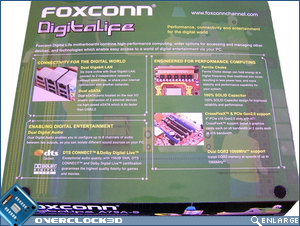 On the leading edges of the box there are further images illustrating that the Foxconn A79A-S motherboard supports AMD's Phenom processors, ATI Crossfire and is Windows Vista ready. 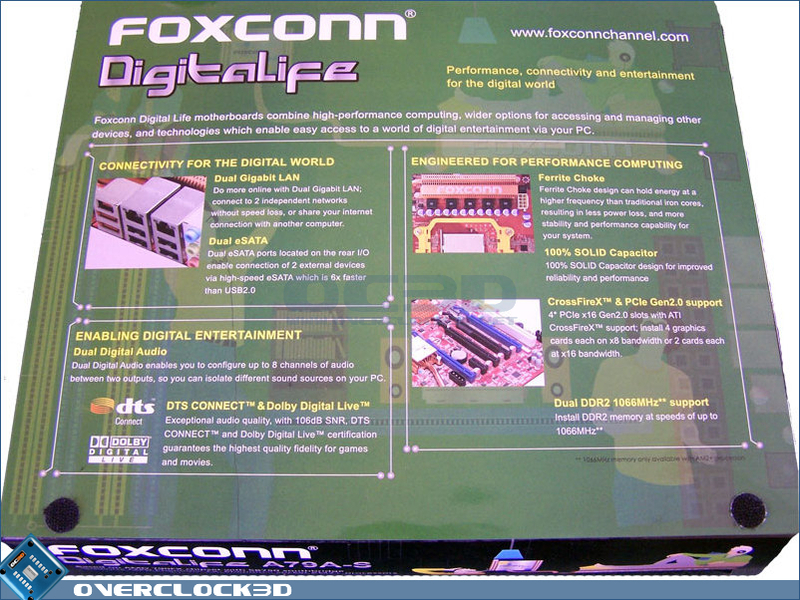 Foxconn has also included a very brief specification list which can be seen below (right). 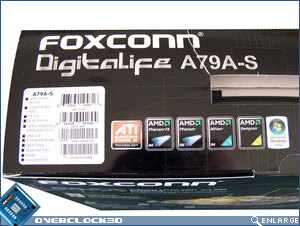 Foxconn appears to be taking a leaf out of ASUS' book when it comes to packaging. 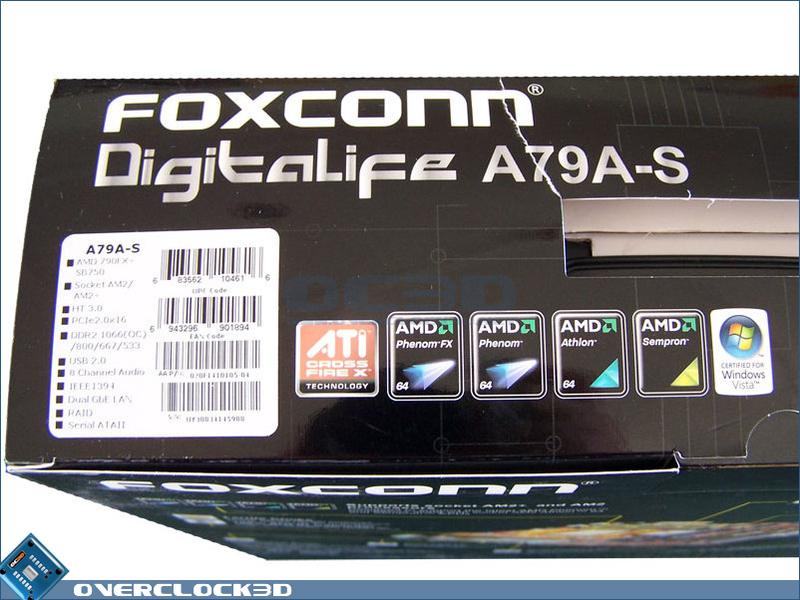 On the top of the box is a secondary lid that when opened reveals additional information about the A79A-S' features. 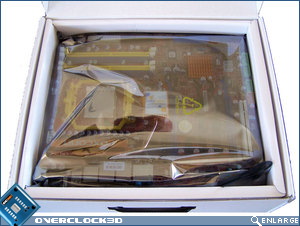 Opening up the box we can see the usual double-walled cardboard box that houses both the motherboard and the included bundle. 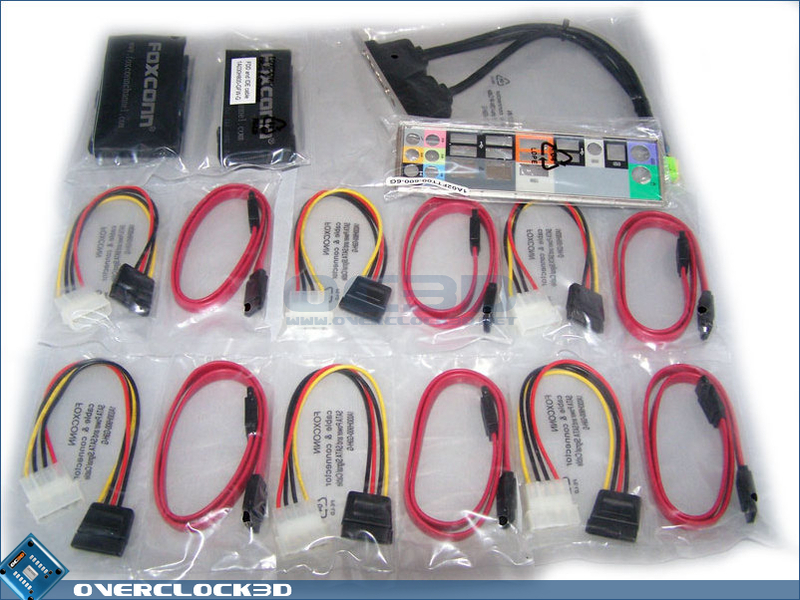 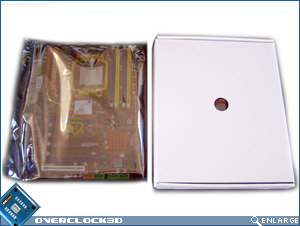 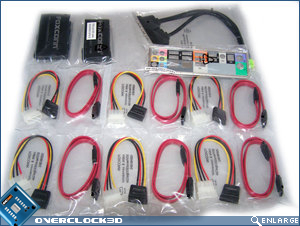 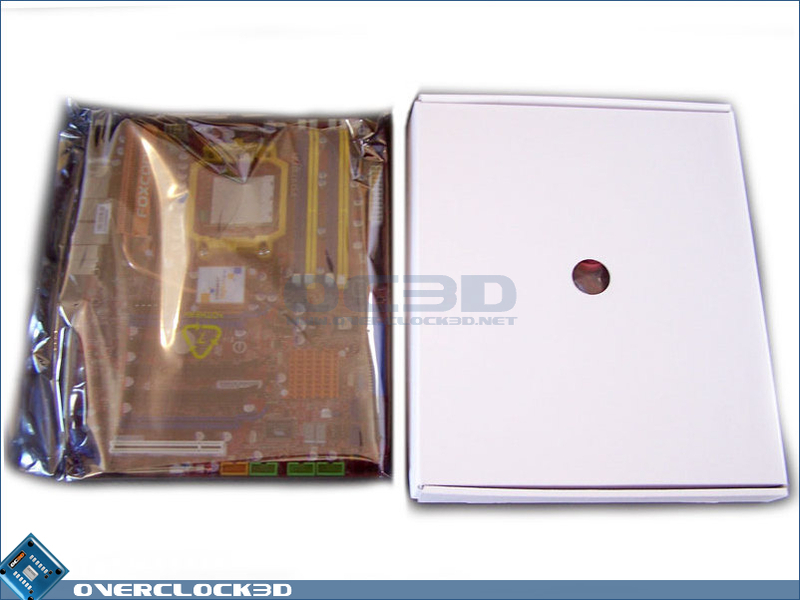 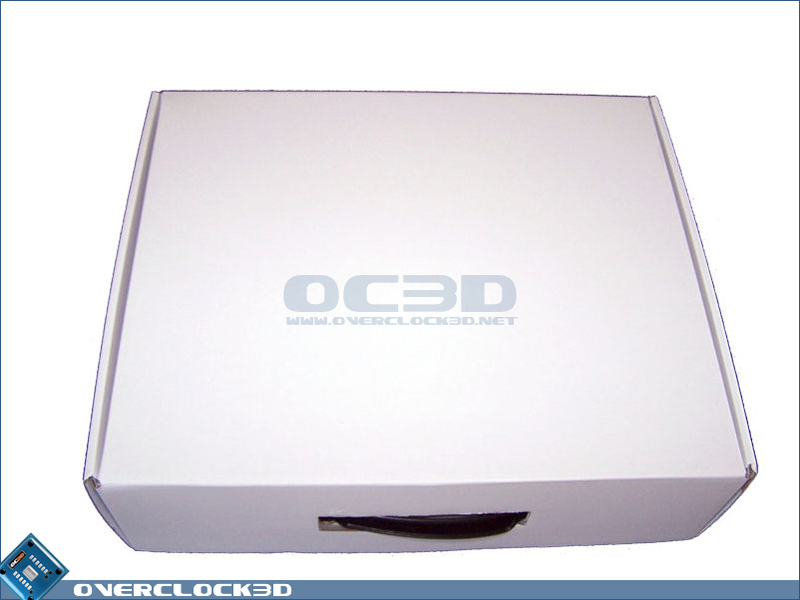 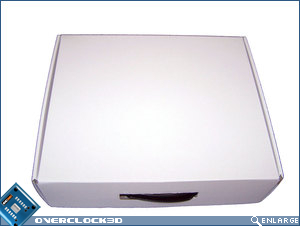 This method of packaging hardware is proven, and subsequently, should provide maximum protection for the motherboard contained within. 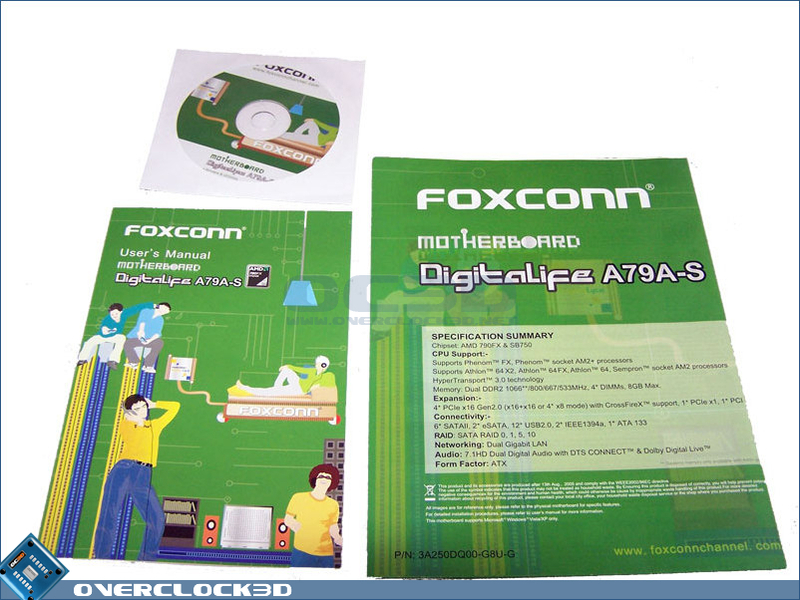 Opening up the box we can see the Foxconn A79A-S motherboard securely situated on top in an anti-static bag. 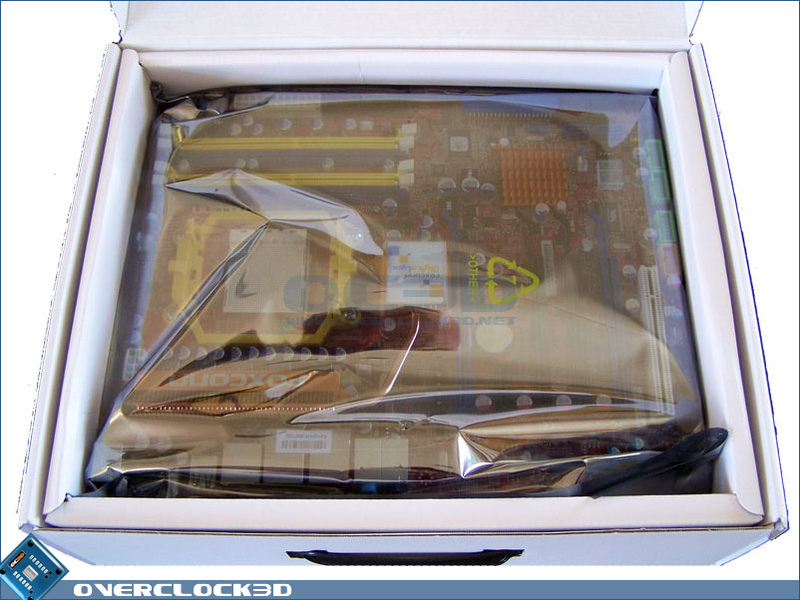 Underneath the motherboard is a secondary box that houses the bundle.